Till mamma takes the scissors away! at the From Our Hands ~ Creative retreat. For multiple days, we stitch, shop, eat and laugh. 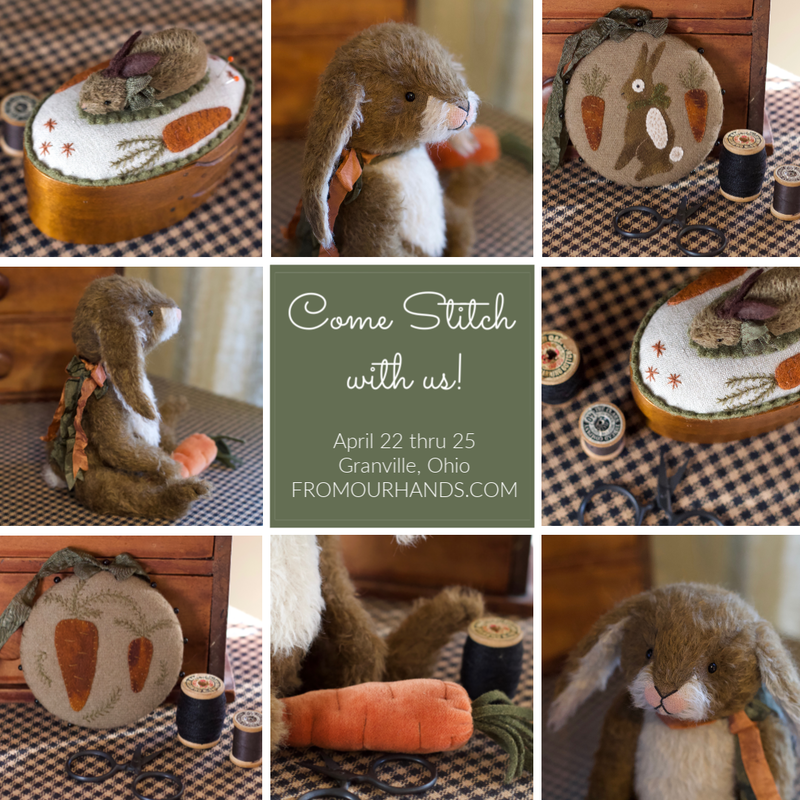 Won't you come stitch with us? Our location this year is lovely Granville, Ohio. Take a peek ~ at all the wonderful classes! Oh I am contacting my friends as we speak! I love them all!